1884: Suffragists had been told by the Liberal government they intended to introduce a new Reform Bill which included a clause on women’s suffrage, albeit a watered down version of what campaigners had originally hoped for. 79 Liberal MPs had asked Prime Minister Gladstone to recognise the claim of women householders. Women believed this was the start of more wide reaching changes. 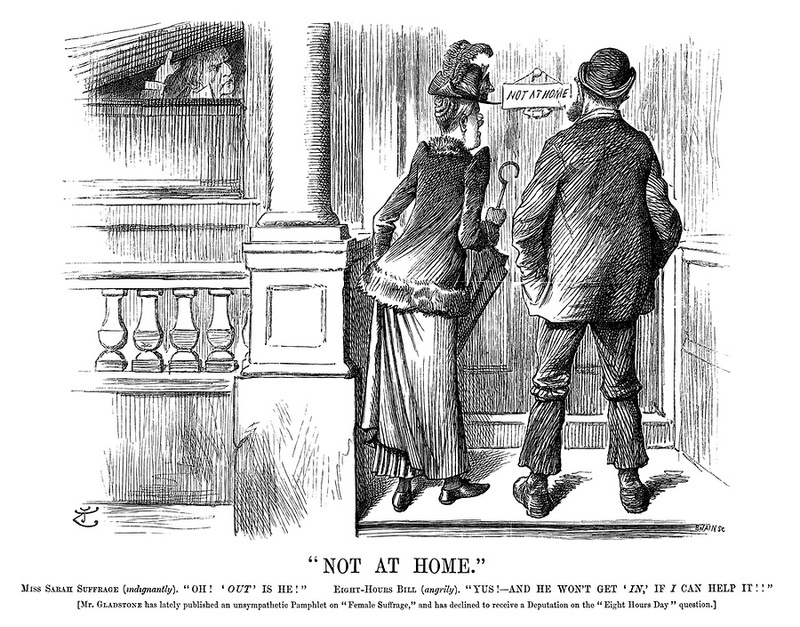 But Gladstone, a radical whom it was believed did in principle accept the women’s claim, spoke against the amendment. Because in its present form, it would only give propertied women the vote, many of whom were likely to vote Conservative. And if it were redrafted to include a wider range of women, it was believed the Reform Bill would be rejected by Parliament, and thus the government would have to resign. Hence the women’s amendment was voted out 271-135 and the Bill redrafted to exclude women all together. Party politics was stronger than promises to non-voters.